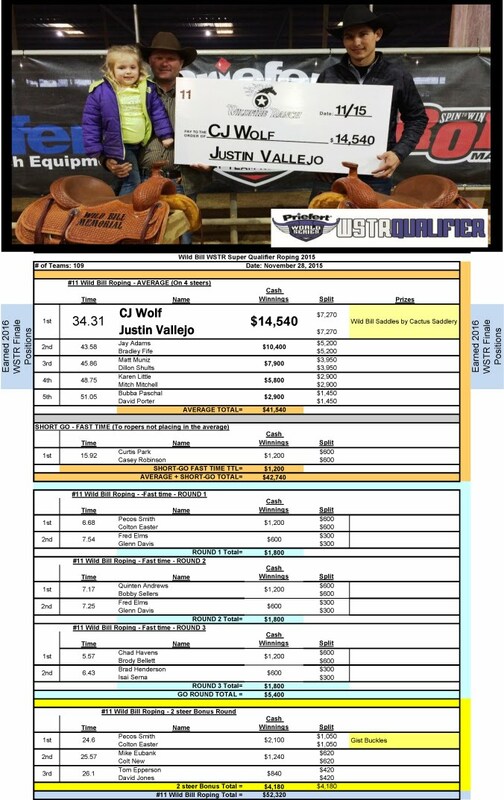 The 15th Annual Wild Bill Memorial roping & #11 WSTR Super Qualifier was won by CJ Wolf and Justin Vallejo. "Wild" Bill Culver's family was present at this year's event to congratulate the winners. Bill Culver is remembered by many as an avid team roper and family man who loved Lonestar beer and fellowship with his friends.